Spring is nearly here and that means it is time for adventure!! This is the perfect skirt for travel as it has a fun boarder print of airplanes and the brilliant blue color really compliments this design. 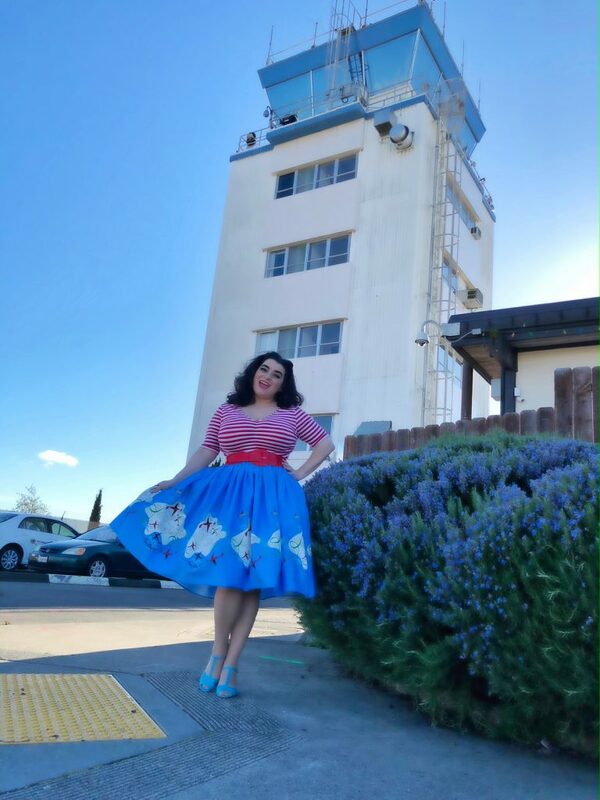 For this photo shoot hubby and I ventured into the cute northern California town of Sebastopol. Sebastopol has a bunch of history and is a perfect destination for day-trippers. Sebastopol is about 70 miles north of San Francisco. I love all the wall murals in Sebastopol and they also have some fun mid-century modern architecture. We also stopped in at the Sonoma Country airport for some pics too. 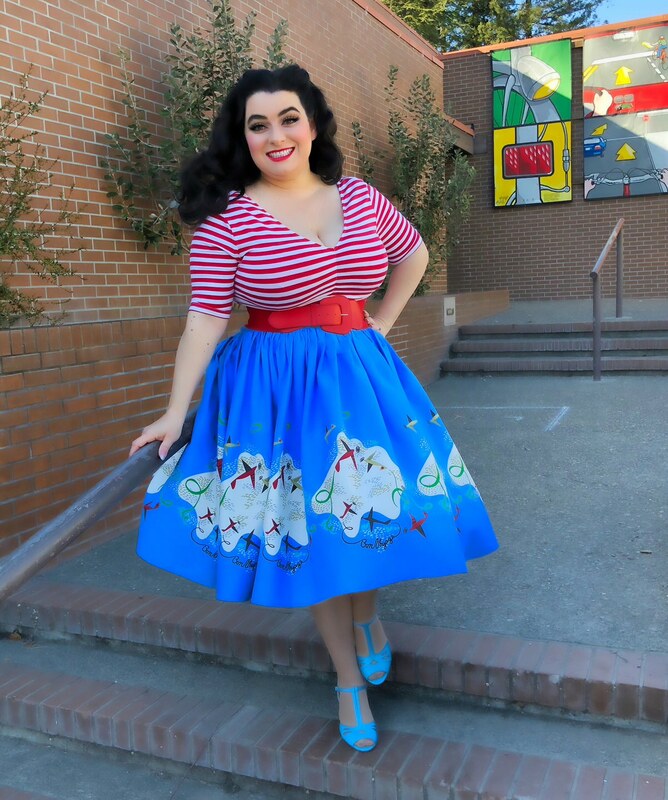 I paired this gorgeous Pinup Couture Jenny Skirt in Mary Blair Planes Boarder Print with a striking striped shirt and the combo is a showstopper. 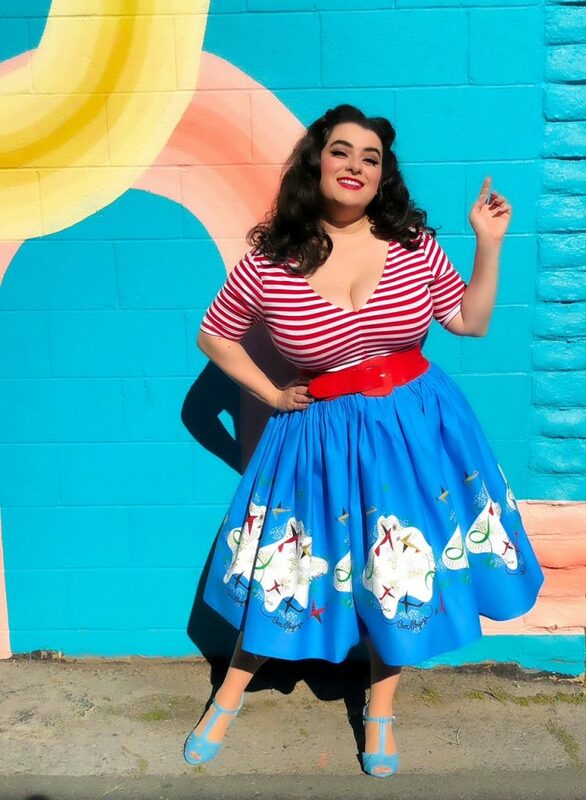 Pinup Girl Clothing really knows how to design styles that flatter a wide variety of body shapes and sizes. 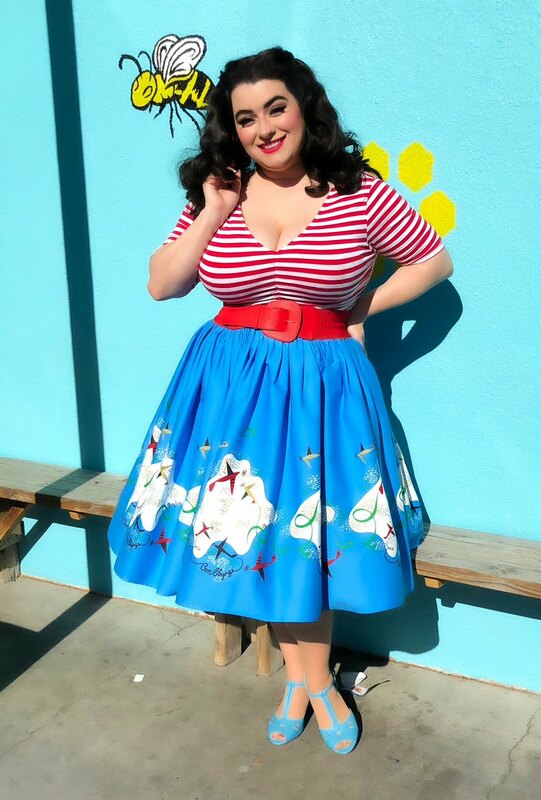 I love the Jenny skirts as they are very full, lots of rich fabric, the prints are so fun and beautiful and the Jenny nips in the waist for a lovely hourglass. I am wearing a petticoat underneath for a little added fluff. The outfit is so comfortable and lightweight and exactly what you want especially when you are traveling. Hurry on over and snap yours up while they last because they are selling out fast!